Get 10% off all Towncars services and an additional $10.00 off on your first ride! Are you looking for a safe & reliable transport alternative? Towncars offers competitive rates for high quality service. ON TIME: Pre-booked service with prompt arrivals. 7 DAYS PER WEEK CALL CENTRE: personalised service, at your disposal to solve any problems immediately. APPEARANCE: extremely presentable drivers and modern cars. PHONE 1300 869 627: inform your booking details and promo code to our Call Centre. 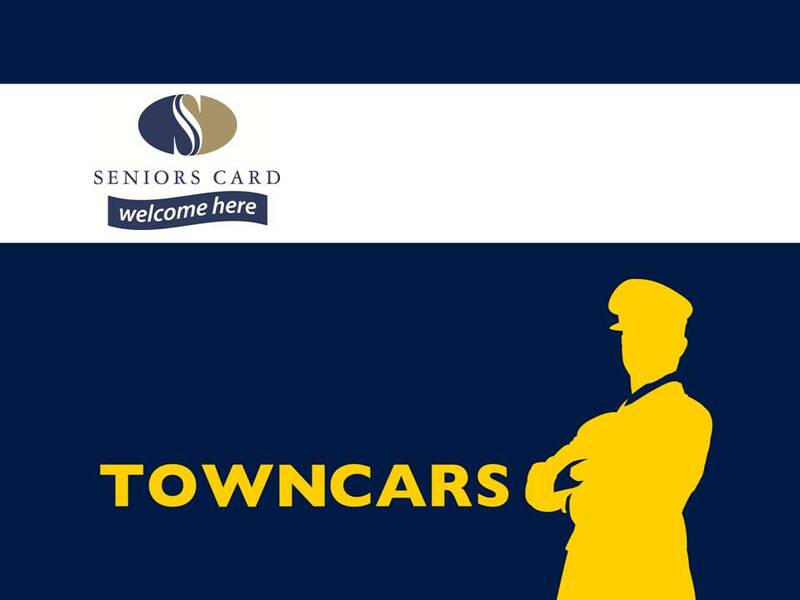 ONLINE: Go to our website (www.towncarsaust.com.au) > Book / Quote > Customer Portal > Create a profile > Insert your promo code > Add passengers > Book your trip (If you need further information contact us to get the complete Customer Portal Manual).